This deal ends March 23rd, so act quickly. 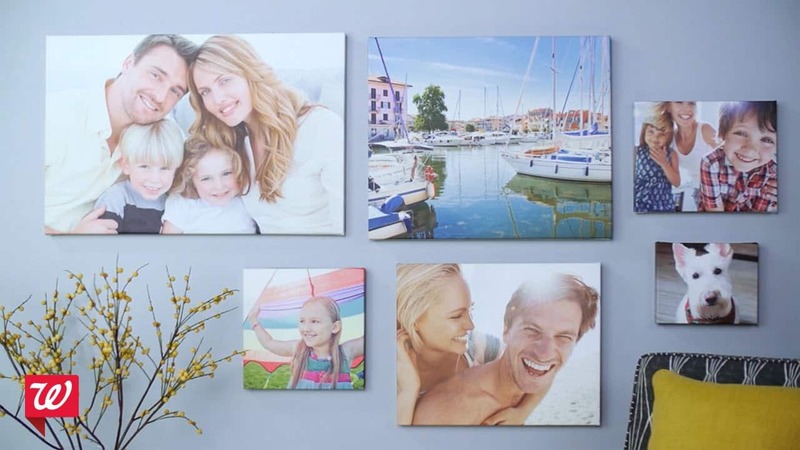 Freshen up your wall décor for spring with the latest Walgreens photo coupon. From now until March 23rd, you can save 75% on wall prints, calendars, posters and more. Just use coupon code LUCKYDAY75 at checkout and you're good to go. All of these products allow for custom image selection, so you can finally cover your home with pictures of your dog without breaking the bank. Just don't forget to select in-store pickup at your nearest Walgreens location to avoid shipping fees. The LUCKYDAY75 coupon will take 75% off your entire order of qualifying wall items. So go ahead and stock up on canvas prints, calendars and other decor to spruce up your entire house or use as gifts throughout the year. Need more Walgreens photo coupons? You can use the code MOREPRINTS for 40% off of prints and enlargements or LUCKYGIFTS for 30% off cards, stationary, photo gifts and new products. Both of these codes are good until March 23rd, as well. And you can be the first to know about the next Walgreens photo deal by signing up for a Deal Alert with us. Thank you, daisybeetle, for posting this deal.